Zantedeschia aethiopica (calla lily) is a perennial (family Araceae) found along the coast of California, in the North and South Coast Ranges, and in the San Francisco Bay area. Native to South Africa, calla lily is grown as an ornamental plant, and most invading populations are found near human habitations in coastal prairies and wetlands. Calla lily reproduces by bird-dispersed seeds and vegetatively via rhizomes, which may be spread by moving soil or garden cuttings. 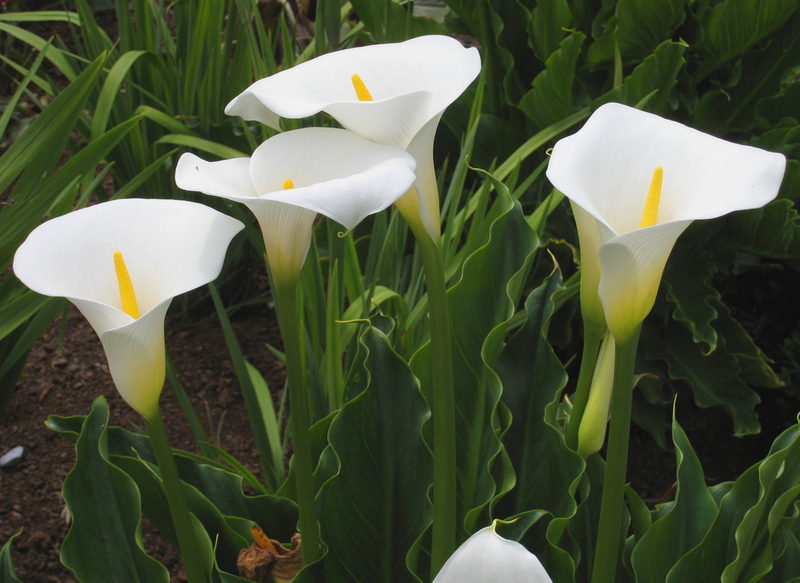 In western Australia and New Zealand, calla lily is an aggressive invader of riparian areas and pastureland.